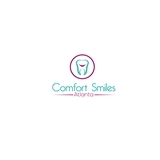 Comfort Smiles Atlanta (Atlanta) - Book Appointment Online! Comfort Smiles Atlanta is located at 3400 Peachtree Road NE Suite 1125 across from Lenox Mall. Founded by Dr. Shawn P. Lottier, the office offers a wide array of treatment from cosmetic dentistry, dental implant surgery and prosthetics, sedation dentistry and orthodontics. Dr. Lottier and his staff are very professional and courteous. His expertise is obvious and reassuring.